If you have ever watched an interview with David Fincher or a “making-of” any of his films, you know the guy is an amazing filmmaker. Sit back and watch the three-hour Criterion special feature on the Benjamin Button Blu-ray and you will know what I mean. Although he only has eight feature films under his belt, all but one have been considered “fresh” on Rotten Tomatoes. With his latest film, The Social Network, opening in theaters this weekend, I have decided to rank Fincher’s films from “first to worst.” Ordering this list was difficult to do because – with the exception of his first feature film – they are all movies that I highly recommend to anyone who hasn’t seen them. Who would’ve thought that a film about the controversial creation of Facebook would be such an intriguing and stunning film? The Social Network is an absolutely perfect package. From the way that it is shot and edited, to the writing, score and acting, it is flawless. The opening scene, through editing, dialogue and music, establishes a high speed pace and intensity that never leaves the film – something you are not really expecting in a dialogue-driven film. As per usual with other Fincher films, the performances are fantastic and, I’m predicting, awards-worthy. Unlike other films that try showing the new “reality” of business and society due to computers and technology, The Social Network absolutely defines the new era we live in. It documents one major moment for this new generation and it does it with perfect form. For my full review of this perfect five-star film, click here. By the time I finally saw Fight Club, the surprise ending had already been spoiled for me. Even then, it still blew my mind. The critical response to Fight Club was completely unique. Initially, it received horrible reviews. But shortly thereafter critics started going back on their original critiques, now calling it a masterpiece – which it is. Aside from one major change to the ending of the film (one that possibly could have ruined the film), Fincher’s film is pretty spot-on with Chuck Palahniuk’s novel from which it is based. Nearly every line of memorable or witty dialogue is taken straight from the book and slapped right into the middle of Fincher’s iconic film. Big Fish meets Forrest Gump. A character piece about a baby born with an old man’s body that ages in reverse. The film takes us through his travels, encounters and experiences. I am somewhat surprised by how many people actually don’t care for Benjamin Button. Perhaps it is the slow pace, or the nearly three-hour runtime. But I find it to be such a genuine and beautiful film that the length and pacing are appropriate for what it achieves. And who doesn’t love the man who gets struck by lightning seven times? 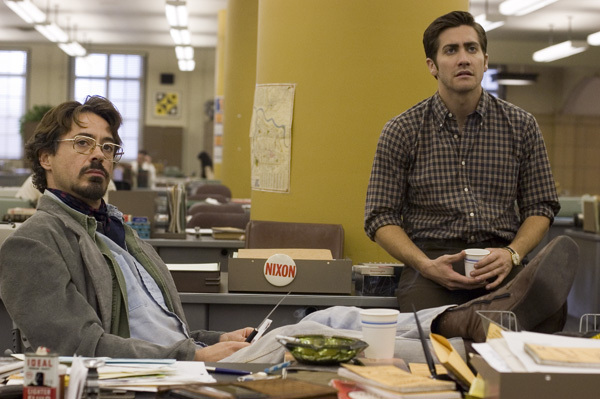 As much as I recall enjoying Zodiac, I am ashamed to admit that I only saw it once. Considering from the get-go you know that you are about to watch a film that recounts the unsolved investigation of one of the creepiest serial killers in U.S. history, it somehow manages to continually keep you on the end of your seat. And even though you already know the story the way the media and police made it out to be, it is really interesting to see who they think did it, but did not have enough evidence to convict. Did you see that ending coming? Mind you I was 15 when Se7en came out, but I sure didn’t. 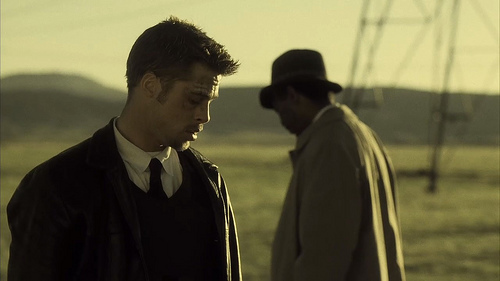 Se7en is easily one of the best good-guy/bad-guy cat-and-mouse chase films of all time. The dark and moody tone of the film throws you into the disturbing case as if you were one of the detectives assigned to it.